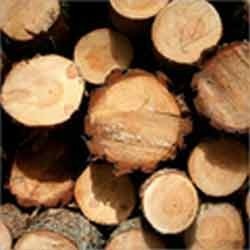 Catering to the varying expectations of our esteemed clients, we are offering them a wide assortment of Teak Timbers. We are a quality oriented organization, therefore; we procure these products only from the reliable and well-established vendors. The quality of these products comply with the international quality standards. In order to meet the different needs of our esteemed clients, we are offering them within variegated shapes and sizes. Our product line includes Teak Timbers, Moisture Resistance Indian Teak Wood Timbers, Teak Sawn Timbers and Teak Wood Timbers which are detailed as follows. We have gained expertise in delivering a quality range of Teak Timbers. We are counted in the market as a leading supplier of these products. In order to ensure their quality as per the international quality standards, we procure them from the well-established vendors of the market. We are availing them in variegated sizes and shapes to meet our client's expectations in a every possible manner. In order to meet the diversified expectations of our esteemed clients, we are offering a wide array of Teak Wood Timbers. We procured these product from the reliable and authentic vendors of the market in order to ensure their quality as per the international quality standards. These timbers are highly reliable for longer service life. We are availing it within customized shapes and sizes to meet the varying needs of our esteemed clients. Catering to the varying needs of our esteemed clients, we are offering them Moisture Resistance Indian Teak Wood Timbers which are highly resistive to moisture, dust and fire. We procured them from the reliable and well-established vendors of the market in order to ensure their quality as per the international quality standards. Furthermore, we hold capability to avail these products direct at client's premises within stipulated time frame. We hold great expertize in offering quality assured Teak Sawn Timbers to our esteemed clients. These products are manufactured with ultra grade raw material at our vendor's end. Being a client centric organization, we emphasize on the utmost client satisfaction in every possible manner. Therefore, these timbers are exclusively brought in varied sizes and shapes.